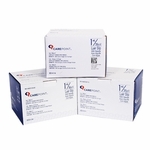 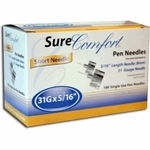 Sure Comfort® Short Needle Insulin Syringes - 1cc, 31g, 5/16"
The Sure Comfort 30 gauge insulin syringes are designed for injection ease and comfort. 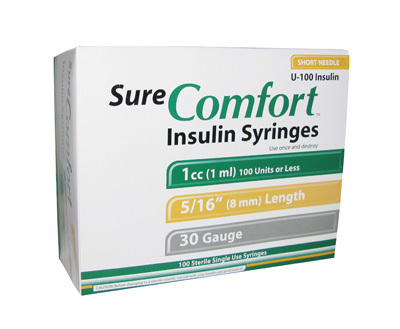 With Sure Comfort Insulin syringes, you receive an ultra-sharp, burr-free, easy-to-read insulin delivery system at an excellent value. 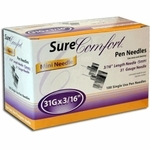 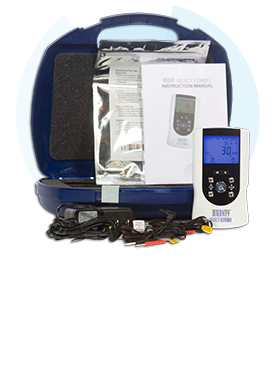 The Sure Comfort 30 gauge insulin syringes have passed numerous tests and a comprehensive audit of our manufacturing facility by a top diabetic medical supplier. 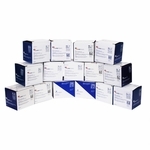 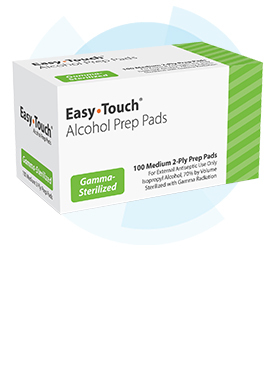 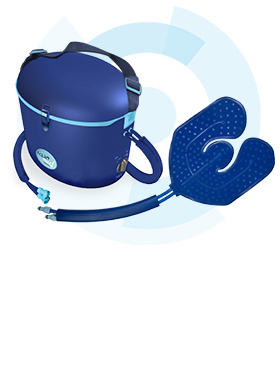 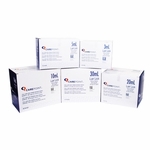 Sure Comfort Insulin syringes have passed numerous tests and a comprehensive audit of our manufacturing facility by a top diabetic medical supplier.